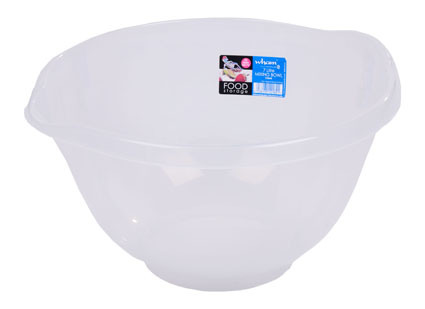 7 litre large round mixing bowl with handle and easy pour spout. Graduated side measurements in pints and litres. Dishwasher, freezer and microwave safe and BPA free. Durable and easy to clean.